Devices that have features such as portability and touch-capability can allow a variety of beneficial uses. An iPad is a tablet device with up to 10 hours of battery life and a large selection of apps. 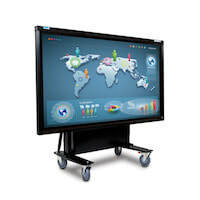 They are extremely portable which makes them ideal for mobile teaching. Information about the telephone services provided by ITS. A Microsoft Surface Tablet is a complete mobile computer, larger than a mobile phone. The Microsoft Surface Tablets are an advantage for teaching and research because you can draw on the screen. Portable large screen computers used in teaching spaces.